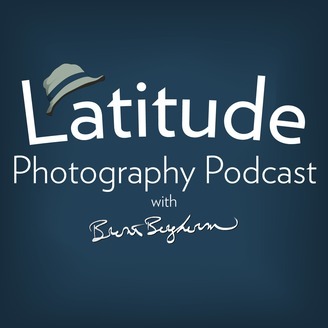 The show for travel and landscape photographers. Today we are talking about color. I wrote a blog post over on my main site about this whole idea of color. Head on over there to read it but, of course, we’ll talk about it here. It’s about the basics of color, a bit of how the eye works and I try to put that into perspective with how it relates to photography. We also have some listener submitted images that we’ll also talk about. Today I chose images from Gary Aidekman, Chris Bartell and Benjamin Stuben Farrar. Gary’s Image is of a red truck with a bunch of various growth around it, be it grasses, bushes, trees and the like. It’s an older pickup truck with a wooden box on the back. The beauty of this image is in the contrasts we find here. The truck is decaying, a bit of rust is seen around the edges of the truck body panels, some dents are visible. The glass is rather clean so it’s not too old and decrepit. The box is showing some age and across the top we see some damage from hauling various objects. However, the contrasts I’m talking about are both the contrasts of color, but also the contrasts of the new fresh growth and the decaying truck. There’s also a contrast of textures, the truck body panels are quite smooth as compared to the grasses, bushes, trees and the wooden box on the back of the truck. The cab is painted red. And what does red have to do with this image? Or better yet, how does it influence our interpretation of the image? Certainly, it pops out from the greenery that surrounds it. In this case, I think it enhances the feeling that this object simply doesn’t belong here. Or, at least it’s not “natural” in a manner of speaking. When I think over the key words that usually get associated with red, either positive or negative, I’m actually coming up a bit dry. I don’t see any of them strongly applying here. It does ad a slight dynamic sense to the image in that the colors do complement each other quite well. It’s almost Christmas like in nature, we just need a little snow! It may suggest danger to some people, but not really. The truck is resting there and it will continue to do so, and has done so for a long time which is evident by the grasses growing around it. I do get a subtle sense of power in this image. But again, it’s subtle. The power of the truck to drive here, park here and be left here by its owner. The potential power to break down the grasses and such in front of it to move on out and get things underway. While it’s decaying, it’s not that far gone. It does look like it still has some life in it, and that could suggest as subtle sense of vitality as well. Compositionally, I would like to see one of two things done to this image. Either zoom in slightly tighter to get rid of a few patches of sky that are showing up, allowing us to more fully concentrate on the truck in its environment, or zoom out a bit and allow us to see more of the environment which surrounds this truck. Zooming in will magnify the power of the truck, zooming out will diminish it. I’d also suggest a vignette to darken the greenery in the foreground. Just slightly. Nothing too drastic so that it still feels natural. Doing so will keep the eye interested in the truck only. There’s lots of detail in those areas and green, as we learned from the previous discussion, is naturally brighter than red, and so by changing the relationship between these two primary colors in the scene we’ll rebalance it to give more attention to the subject. Of course, it all depends on the intent you have for this image. The second image is from Chris Bartell. She has been with me on a workshop last year in Charleston at the Create Photography Retreat. She’s a talented photographer and is definitely showing some good work here as well. This image is of a Japanese Maple at the Japanese Gardens in Portland, OR. These are some beautiful gardens. If you get a chance to shoot there, especially in the fall, I highly recommend it. Go on a weekday if you can to avoid the crowds. The image is filled with lots of reds and oranges in the leaves, with some vibrant greenery in the grasses and mosses in the foreground. This is one of the exciting things about nature photography, we almost always have some greenery in the image (not so in the next image, but anyway). Chris has used a small aperture, a big number, and a wide-angle lens to really extend that depth of field. Almost everything is in focus. It feels that there’s a subtle vignette being applied, but it could be a natural vignette from the lens. Though when a lens is stopped down this far the vignetting is usually eliminated. This particular tree is quite possibly the most popular tree in the entire garden, at least for photographers. I’ve seen many images like it before and this is a really good example of what can be done here at this tree. So how does the color red influence our interpretation of this scene? To me, it also has a lot to do with the branches. Those branches start out in the thick trunk and they squiggle out to the outlying areas of the image. They provide a connection and a visual highway for the eye to travel through, many visual highways. To me, I’m made more alert by this image. The color is commanding my attention as it’s very visible. The inclusion of yellow hues also helps a lot with keeping things alive. Given that this is fall colors, the notion of transition and the coming winter is also suggested to me. And I am thankful for being able to see the colors as they are here because I know they will be gone soon. So, in this image, I get a sense of decay and transition quite strongly. But as I’m well aware, the cycle will continue, and this will deliver its beauty once again next year. So the promise it provides is also strong for me. Compositionally, I don’t think there’s much I’d change in this image. If I were there and no others were trying to get this shot, I know I’d try and get some unique compositions. I might try my segmentation series on this subject. Or otherwise isolate individual branches of segments of the tree. There’s not a lot of wiggle room as the keepers of the garden disallow photographers to walk around and set up various angles. One thing that is wonderful is the lone leaf on the rock in the lower left corner. I can see myself placing more leaves there to make a more prominent feature of that rock. And then put them back so my idea is hopefully unique. Benjamin’s image is another leaf. But this one has fallen to the ground. The icy ground. This provides some great contrasts once again in the image. We have the little crystals of the ice droplets that have formed and the soft smooth leaf. There’s only reds, oranges and blue hues available in this image. Along with some whites and blacks too, of course. The depth-of-field is very shallow which can really work for this type of shot, though I might have applied it slightly differently. The leaf almost fills the frame from edge to edge and is placed in the upper third of the image. So how does red influence our interpretation of this scene? The leaf is made to feel very important. It is the central object not only because the red advances so much as compared to the softer blues, but also it’s the subject that is in focus. It’s punchy and the eye is drawn so much you can’t go anywhere else. As for the composition, I think I would do one major change. That is to lift the camera up just a little. This will change the plane of focus slightly and allow for more background to show. I’d still keep the leaf towards the top of the frame but I’d change the focus to be the ridge of the leaf edge. Right now the eye gets trapped in the central part of the frame and can’t escape. If the leaf’s ridge were in focus the eye would have a line to follow, a very interesting line at that. It could travel back and forth and then it could take a few side tracked tangents based on the receding veins. Doing this would also bring different ice globules into focus and that would provide a circle for the eye to travel around, from the edge of the leaf to the in focus ice globs, back to the leaf. What if your reds, or other colors, are off in camera? There’s a few things we can do to correct for this. I really only have in-depth experience with Canon cameras, but all cameras will have a characteristic about it that may need correction from time to time. So often we want to make color corrections using the white balance. And that can help, but what if your colors are consistently off? In Lightroom or Adobe Camera Raw, head to the last tab in the develop module called Calibration. The first thing to select is the Process Version. Usually, I’d say go with the most recent version. That’s going to be the most updated process Adobe knows to do to your photos. However, the sliders there will give you the opportunity to shift the hues around from one influence to the next. And things are limited to the Reds, Greens and Blues only. You also have a shadows tint slider which can help too, but that’s limited to greens and magentas. I say focus your attention on the primaries and shift those sliders around until you have something that works across a multitude of files. Technically speaking, if you were to calibrate your camera it would only be applicable to the lighting scenario and lens choice that’s currently mounted to your camera. You’d have to recalibrate for each different scenario. However, going about it in an easier fashion makes a lot more sense, especially if you notice that things are consistently off base. You can come in here and make the changes. Then you can make a preset that has those changes and upon import you can apply those changes automatically. Doing so may be just what you need to get those reds knocked into shape. Also, it’s been my experience that reds are the toughest for cameras to accurately render, but again, my experience is largely limited to Canon cameras and the troubled cameras are the older Rebel models, the current models have been excellent. Take a look in that calibration panel and see if something works in the right direction for you! Additionally, you can take a look in the HSL area and modify the hues there as well. The calibration panel is designed more for wholistic changes that are applied across the board. I’ve announced that my print course is finished. And I’m so glad it’s largely done! However, I figured I should address something here. That is I’m going to actually rename the course. Not even a week out and I’m already making changes. I know, kind of strange. However, this comes about from you guys, and a few others. 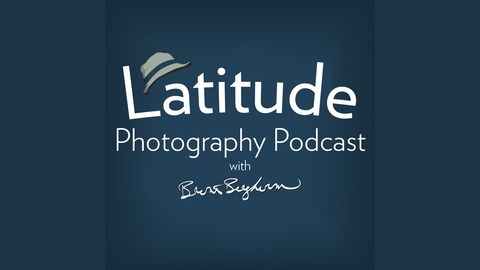 By calling it a fine art printing course I made some feel this course wasn’t for them, where after talking to them I was like “yes, this is totally for you!” So I’m retitling the course to “Master Photo Printing” with Brent Bergherm. Nothing else has changed about the course. You still get 8+ hours of in-depth training in a format that is easy to digest and pickup where you left off. My online delivery system tracks your progress and you’ll easily be able to watch the videos that pertain to your interests and you’ll be able to go back over an over again. Also, for a few more days, I’m able to give away a backpack bag if you enroll soon. See the website for details, but I’ve got an UltraLight 36L by ThinkTank Photo that will go to one lucky person who signs up before Wednesday, April 10, 2019. If you’ve been shooting a couple years and you want to take your photography to a different level with some color management, post-processing and creative sharpening techniques then this course is for you. I will do the bonus materials by Summer 2019 which will include walkthroughs on popular print lab websites and an analysis of their prints. So you don’t need your own printer to get something out of this course. My summer plans have been effectively put into a blender. I had to cancel my workshops to Chile and Croatia due to low enrollment which is too bad. And I thought that would mean I’m able to go to Cuba then with the school I work at. We’re doing a mission trip there in early July. And that may will work out, but otherwise, the only thing I have solid for my summer is to head to Boise in late July and deliver a mini printing workshop and lecture there to a group there. If you have a group of photographers that want to learn one-on-one printing this summer let me know and we probably can work something out.I also have my shoot-n-print workshop happening in mid-June this year in Walla Walla. The valley is gorgeous and we’ll have so much fun shooting in the early morning and evenings, and spending the heat of the day demystifying the print process and coming away with some awesome prints of your photography.